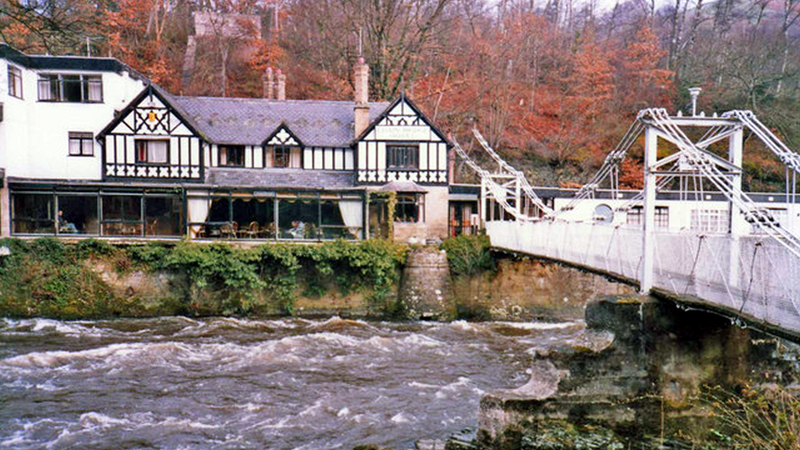 The Chainbridge is sited in a unique position literally overlooking the spectacular River Dee with it's racing white water and leaping salmon and the Llangollen Canal that begins it's life just a short walk away at the beautiful Horseshoe Falls. 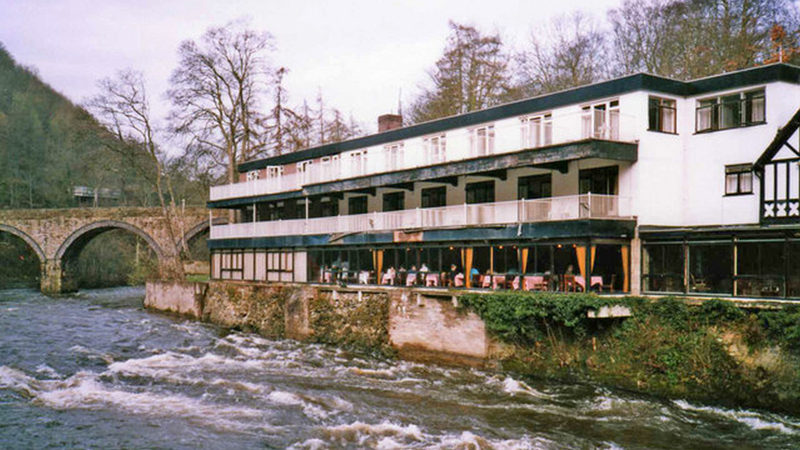 Sit in the bar or restaurant and marvel at the view which is floodlit at night. Flanked by one of the oldest roads (the A5), the oldest canals, the oldest steam railway line, the most famous bridge to cross the river Dee and the river Dee itself the Chainbridge Hotel could not occupy a more uniquely beautiful location. 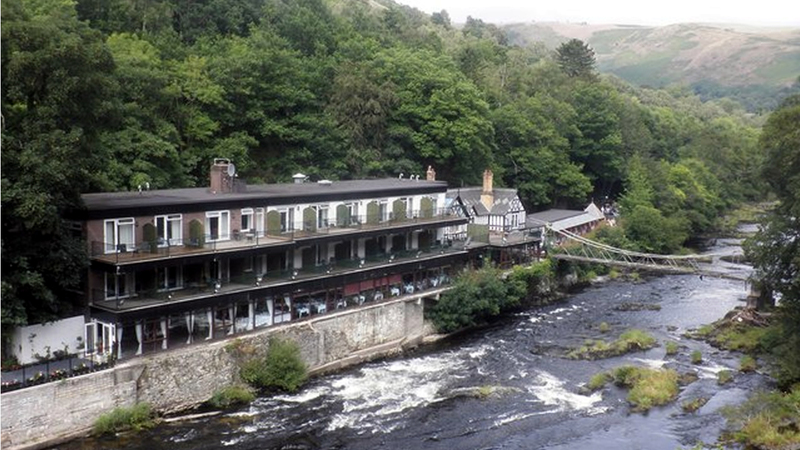 Although standing in splendid isolation the hotel is just 2 miles from the bustling town of Llangollen, which can be reached via the canal towpath or by car, horse-drawn canal boat or steam train. 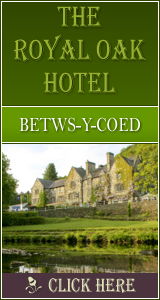 There is so much to explore locally for all ages, The Horseshoe Pass, the motor museum, the home of the famous 'Ladies of Llangollen', the working steam railway, offering trips along 12 miles of the most beautiful Welsh countryside, horse drawn boat rides along the canal, plus many ancient ruins and walks for all ages and abilities. 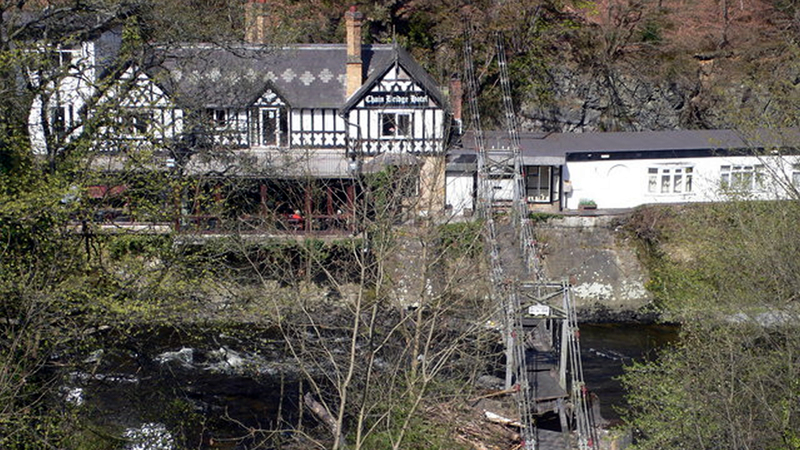 Llangollen is also world famous for hosting the annual International Music Eisteddfod. As a family owned hotel, we pride ourselves on personal service and the freshness and quality of our food. Daily deliveries of fresh and organic produce allow our team of chefs to prepare a varied daily selection of excellent food at very modest prices. We hope to welcome you personally in the near future and promise to make your time with us truly memorable. 507 Click Throughs => £253.5 based on an example £0.50 cost of a click through from Google pay per click.